Just a small tip today. During my “What Designs Need To Know About Visual Design” conference presentations I discuss the importance of line height and how increasing it can improve readability on websites and applications. The same technique applies to your development environment and IDE. By increasing the vertical spacing you can make it much easier to read and as a result shouldn’t require as much effort meaning you’re slightly less drained at the end of the day. 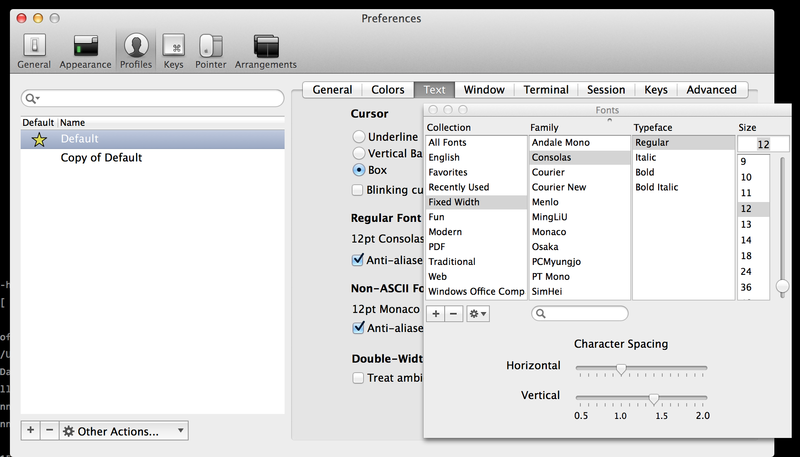 Within iTerm you can set the line height in the text preferences.